This past weekend, the husband went camping in the middle of nowhere with his buddies while I stayed home parenting our lovely toddler. When this happens, I like to make plans and think of fun things that Diego and I can do outside the house. If you have toddlers then you know that staying inside the house all day makes the day go insanely slooooow. 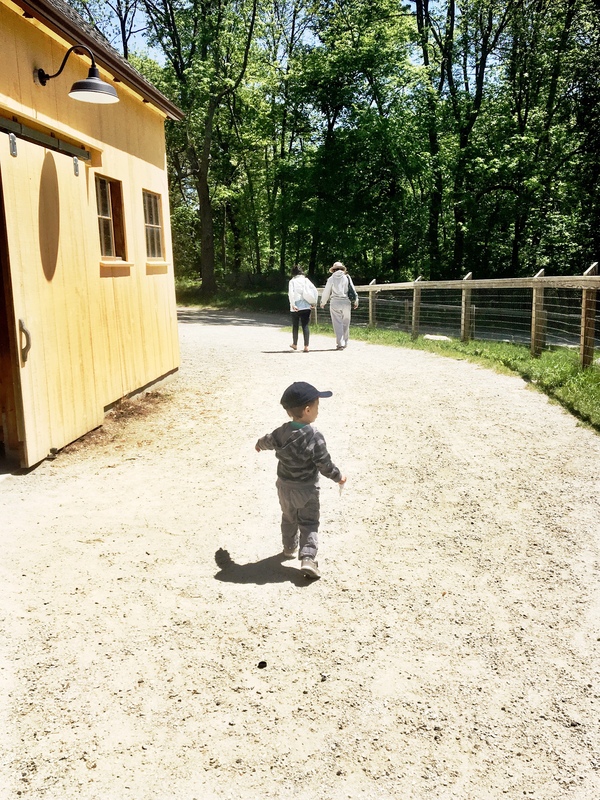 I offered Diego two options: go to the playground or go to a farm and see some animals. Obviously, going to the farm won. 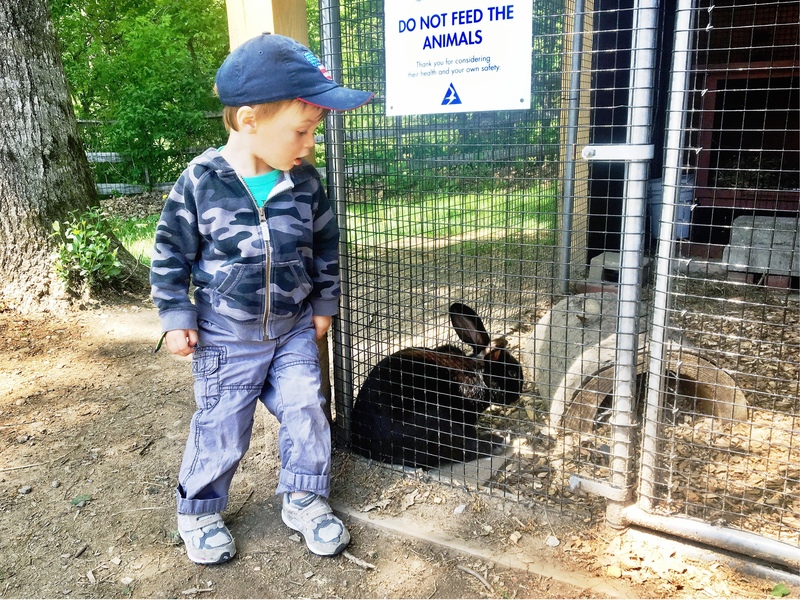 This kid loves his animals! 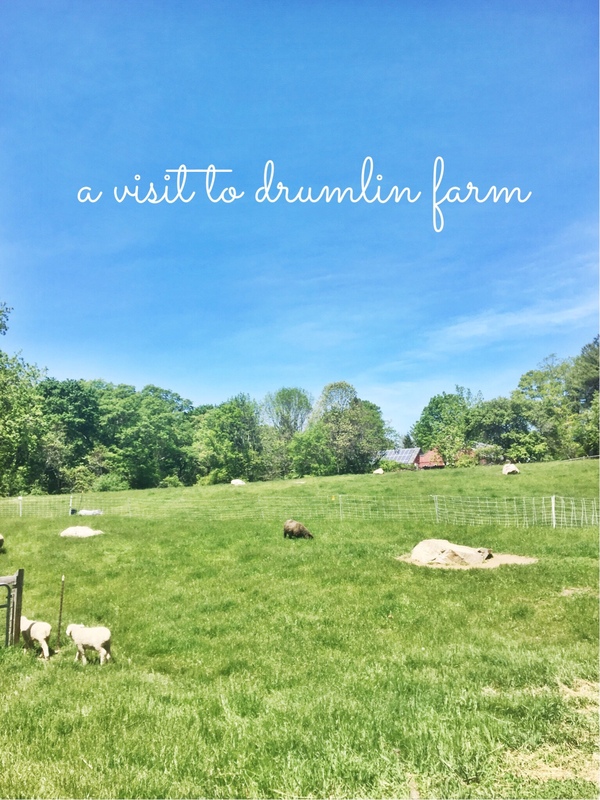 So after some quick yelp research, I decided we should go check out Drumlin Farm in Lincoln, MA. If you haven't checked it out, I highly recommend it. 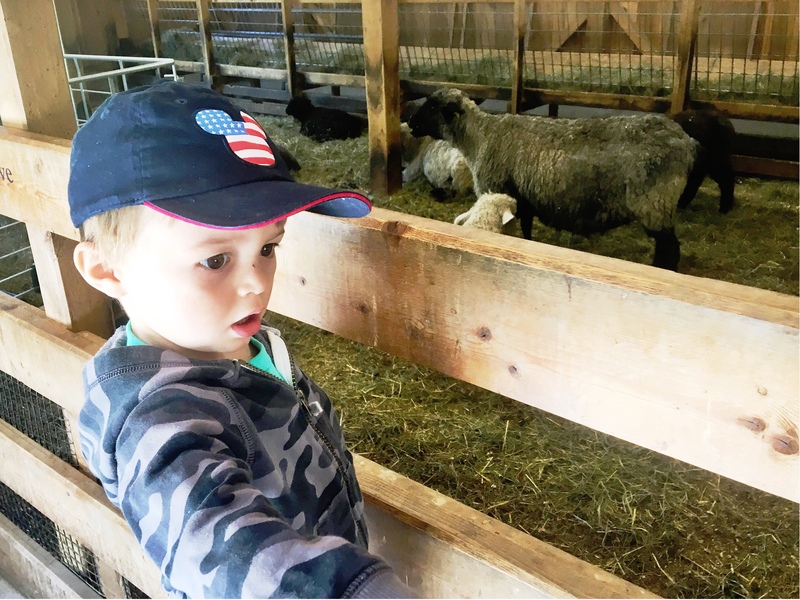 The official name is Drumlin Farm Wildlife Sanctuary and it's a wildlife sanctuary and working farm all in one. 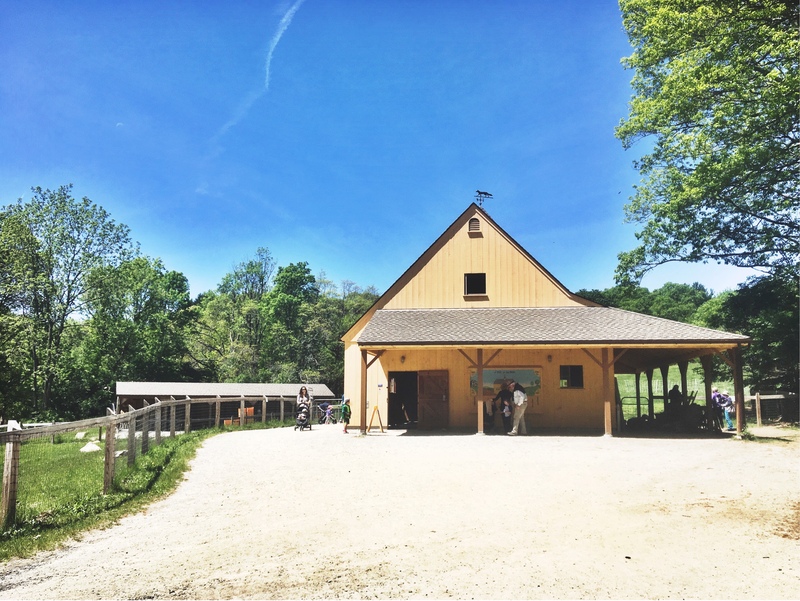 We spent about 3 solid hours at the farm. 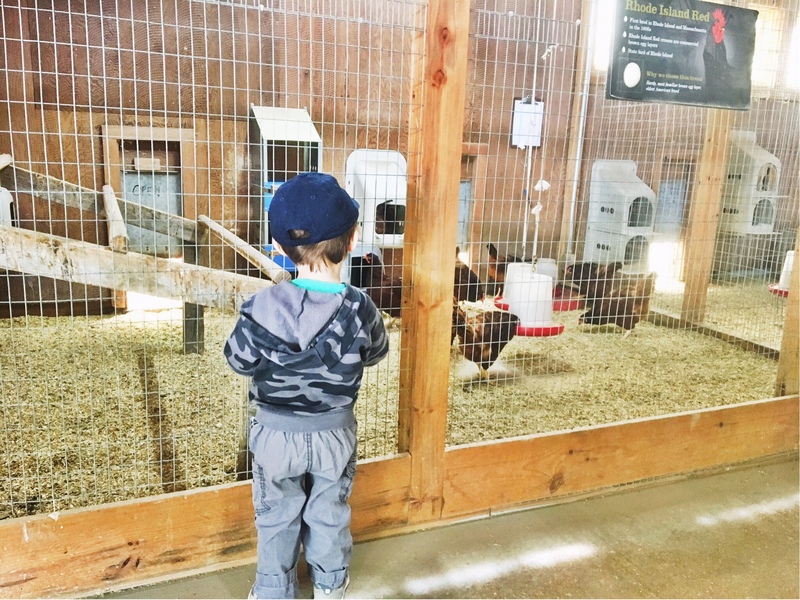 We saw chickens, sheep, owls, turtles, birds, cows, bunnies and a horse. 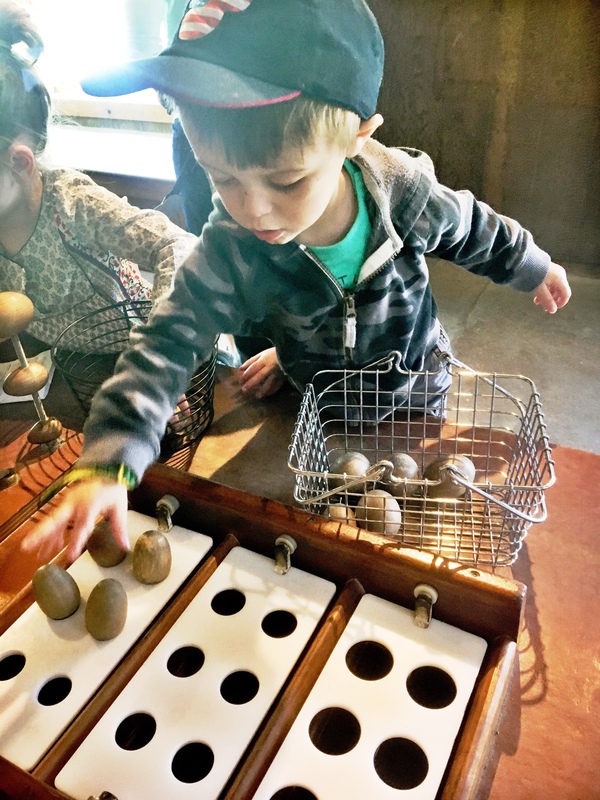 Diego's favorite part was playing with these wooden eggs that they had where the chickens were. He was literally playing in there for a solid half an hour. Oh! And you can also do a hay ride which we did. Of course. They have bathrooms everywhere and they also have a picnic area so you can pack your lunch and eat it there. We did that and it was perfect!